With Derby recently being ranked second in the UK Powerhouse City Growth Tracker report there’s no surprise that Woodhead Group has chosen Derby as the location for its next office. As a growing East Midlands business, the Woodhead Group has chosen to open its latest office in the heart of the city, as part of its regionalisation strategy. The move will enable the business to focus on local delivery and be closer to projects it is working on in the region. This is a really exciting time for Woodhead and the new offices in Derby will be the hub for projects being delivered in the city itself as well as providing a growth platform to target new areas including Staffordshire, Stoke, Birmingham, Chesterfield, Hull and Sheffield. The Group will offer its full services from the new Derby office from regeneration, new build construction, refurbishment, and conservation to property maintenance. The company has completed a number of key projects in Derbyshire over the past few years; including the restoration of the historic Marble Hall, a range of new build housing work for South Derbyshire District Council, Bolsover District Council and Derby City Homes. The company is also the principle contractor on the £10m New Bolsover Model Village housing improvement programme. Woodhead has evolved from a small joinery workshop when it was founded in 1946 to a growing group of companies with 180 staff and a turnover of £60m+. The new office was formally opened on 19th April and will be headed up by Derbyshire and Staffordshire Team Leader, Sue Hunter. Sue, who lives locally and previously worked with Derby City Council, said: “We’re all really excited to be opening another office, this time in the heart of Derby. 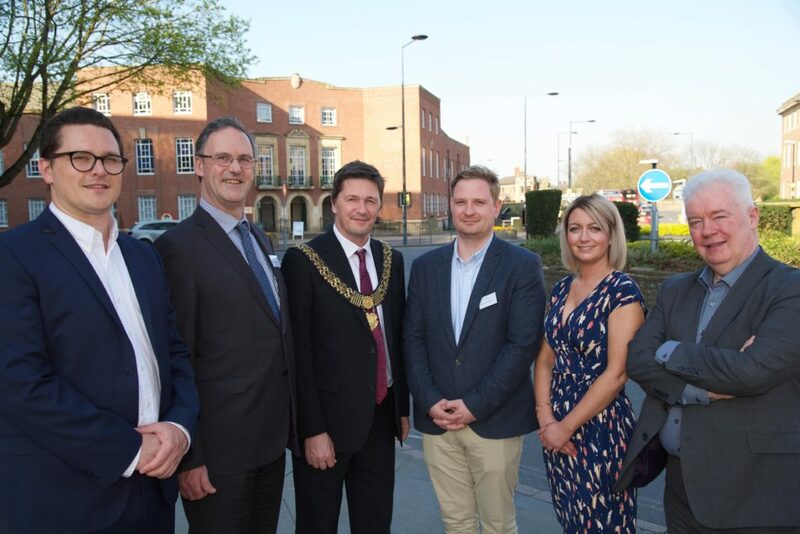 Woodhead’s arrival in Derby was celebrated last week with staff, partners and clients at a special event, held at The Quad in the city centre. 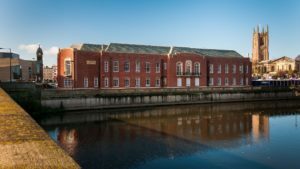 Marketing Derby CEO John Forkin Commented: “We are really excited to be welcoming Robert Woodhead to Derby with its new office located right in the centre of the city. “Derby is a city on a journey and it has a very strong story to tell when it comes to industry and trade. It is great to hear that Woodhead is keen on innovation and collaboration and not only will the move to Derby hopefully bring it more business but it will also improve the construction side of the economy in Derby and the surrounding areas.